Even literary tomes from the 1850s are still relevant to modern life, y'all! 1. Dog Medicine, a relatable memoir about the importance of practicing self-care, specifically in the form of dog adoption. Get it from Amazon for $10.64 (paperback), Barnes and Noble for $14.28, or a local bookseller through IndieBound here. Also available on Kindle and Audible. 2. My Boyfriend Barfed in My Handbag, a no-shame guide on cleaning up stuff you'd have to Google to save face, like getting bong water out of your carpet. Get it from Amazon for $12 (paperback), Barnes and Noble for $11.53, or a local bookseller through IndieBound here. Also available on Kindle. 3. The Tao Te Ching, which is chock full of simple, centuries-old wisdom that'll help you find peace and contentment. Get it from Amazon for $4.68 (paperback), Barnes and Noble for $8.95, or a local bookseller through IndieBound here. Also available on Kindle. 4. Anything by Christopher Hitchens, who wasn't afraid to go there about subjects like religion, mortality, and historical figures. Get it from Amazon for $13.30 (paperback), Barnes and Noble for $15.28, or a local bookseller through IndieBound here. Also available on Kindle and Audible. 5. The Namesake, a novel that follows a first-generation kid's struggles in dealing with parental expectations and honoring his heritage that anyone'll find bits of common ground with while reading. Get it from Amazon for $9.52 (paperback), Barnes and Noble for $11.64, or a local bookseller through IndieBound here. Also available on Kindle and Audible. 6. This Is How, for an actually sufferable self-help book that will help you feel like you can climb over that wall, get out of the pit, etc., etc. Get it from Amazon for $9.99 (paperback), Barnes and Noble for $12, or a local bookseller through IndieBound here. Also available on Kindle. 7. Tiny Beautiful Things, a collection of advice columns from The Rumpus's Dear Sugar and other works that shows we all have more common ground than we think. Get it from Amazon for $9.17 (paperback), Barnes and Noble for $10.59, or a local bookseller through IndieBound here. Also available on Kindle and Audible. 8. Mud, Sweat, and Tears, the TV star's tome about his novel-worthy adventures that'll inspire you to pursue your dreams -- even if they don't involve the outdoors. Get it from Amazon for $13.11 (paperback), Barnes and Noble for $12.74, or a local bookseller through IndieBound here. Also available on Kindle and Audible. 9. 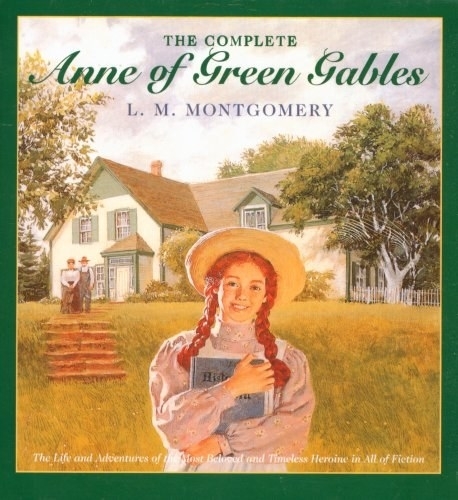 The Anne of Green Gables series, for showing how to tackle life's mistakes...and hard lessons. 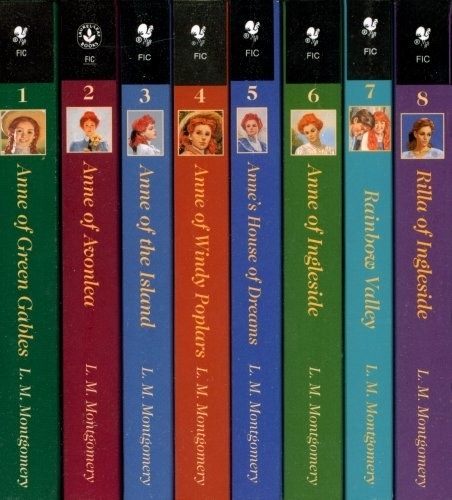 Get a box set of all eight novels from Amazon for $34.24. 10. Breakfast with Buddha, a spiritual road trip (in the literal sense) that'll show you life through a stranger's eyes. Get it from Amazon for $9.59 (paperback), Barnes and Noble for $10.47, or a local bookseller through IndieBound here. Also available on Kindle and Audible. 11. The Bluest Eye, Toni Morrison's first novel that deals with the obsession with beauty and "normalcy" while growing up is a still-relevant read decades after its release. Get it from Amazon for $8.90 (paperback), Barnes and Noble for $13, or a local bookseller through IndieBound here. Also available on Kindle and Audible. 12. The Defining Decade, which is actually applicable at any age. Get it from Amazon for $9.76 (paperback), Barnes and Noble for $11.90, or a local bookseller through IndieBound here. Also available on Kindle and Audible. 13. Grace’s Guide, a funny read on stuff every adult has to deal with, like making friends and decorating your first apartment. Get it from Amazon for $12.39 (paperback), Barnes and Noble for $16.11, or a local bookseller through IndieBound here. Also available on Kindle and Audible. 14. The Road to Character, in which the New York Times columnists traces how famous figures' decisions and struggles determined how history perceived their character. Get it from Amazon for $11.11 (paperback), Barnes and Noble for $11.70, or a local bookseller through IndieBound here. Also available on Kindle and Audible. 15. Rising Strong, a social scientist's findings on the value of falling, embracing the resulting discomfort, and then trying again. Get it from Amazon for $12.18 (paperback), Barnes and Noble for $12.56, or a local bookseller through IndieBound here. Also available on Kindle and Audible. 16. You Are A Badass, an occasionally swear-y guide to setting goals and actually reaching them. Get it from Amazon for $9.79 (paperback), Barnes and Noble for $10.08, or a local bookseller through IndieBound here. Also available on Kindle and Audible. 17. The Hitchhiker's Guide to the Galaxy, a wildly entertaining sci-fi read that'll help you deal with anxiety. Get it from Amazon for $7.19 (mass-market paperback), Barnes and Noble for $11.25, or a local bookseller through IndieBound here. Also available on Kindle and Audible. 18. The Last Lecture, a fleshed-out version of a computer science professor's last lecture on seizing the moment and concentrating on living. Get it from Amazon for $12.64 (hardcover), Barnes and Noble for $14.30, or a local bookseller through IndieBound here. Also available in Kindle and Audible. 19. White Teeth, a tale of Bengali, Jamaican, and English people in modern London that's can help non-immigrants get a better hold on the immigrant experience -- especially in light of current US politics. Get it from Amazon for $10.09 (paperback), Barnes and Noble for $11.02, or a local bookseller through IndieBound here. Also available on Kindle and Audible. 20. To All the Boys I've Loved Before, a YA novel about growing up and taking on familial responsibilities before you think you're ready. Get it from Amazon for $6.70 (paperback), Barnes and Noble for $9.96, or a local bookseller through IndieBound here. Also available on Kindle and Audible. 21. The Boys in the Boat, the inspiring story of underdogs that went on to defeat Adolf Hitler's rowing team. Get it from Amazon for $10.40 (paperback), Barnes and Noble for $14.31, or a local bookseller through IndieBound here. Also available on Kindle and Audible. 22. Do Your Laundry or You’ll Die Alone, a quick hit on stuff you know you should be doing but need reminders on, like tending to your linens, sitting up straight, and other excellent mom-ish advice. Get it from Amazon for $4.54 (paperback), Barnes and Noble for $12.94, or a local bookseller through IndieBound here. 23. Women and the Blues, a thoughtful survival guide for coping with angst, depression...you name it. Get it from Amazon for $4.13+ (paperback), Barnes and Noble for $18.75, or a local bookseller through IndieBound here. 24. The Adventures of Huckleberry Finn, a classic worth revisiting through the lens of doing what you feel to be right, instead of what others have told you. Get it from Amazon for $4+ (paperback), Barnes and Noble for $6.95, or a local bookseller through IndieBound here. Also available on Kindle and Audible. 25. Miss Piggy’s Guide to Life, a vintage tome that promotes some LEGIT practices like a "facial" that includes washing your face, gazing upon your reflection, and then eating some candy. Get it from Amazon for $0.01+ (hardcover) or Barnes and Noble for $7.95. 26. Pretty Little Mistakes, a choose your own adventure-style novel that you can apply to your IRL choices. Get it from Amazon for $11.23 (paperback), Barnes and Noble for $11.36, or a local bookseller through IndieBound here. Also available on Kindle. 27. Bridget Jones's Diary, a rom-com go-to that embraces the long journey for self improvement. Get it from Amazon for $6.29+ (paperback), Barnes and Noble for $13.90, or a local bookseller through IndieBound here. Also available on Kindle and Audible. 28. Fangirl, a coming-of-age tale about transitioning from the comforts of childhood to the intimidating challenges of adulthood. Get it from Amazon for $4.58+ (paperback), Barnes and Noble for $13.52, or a local bookseller through IndieBound here. Also available on Kindle and Audible. 29. Epic Fantasy as a genre, like The Hero and the Crown, and series like The Mazalan Book of the Fallen and A Game of Thrones, to name a few. Get The Hero and the Crown from Amazon for $6.99 (paperback), Barnes and Noble for $12.36, or a local bookseller through IndieBound here. Also available on Kindle and Audible. 30. And David Copperfield, the 1850 Charles Dickens classic about the still-relatable theme of overcoming awful circumstances to achieve great things. Get it from Amazon for $7.29 (paperback), Barnes and Noble for $8.95, or a local bookseller through IndieBound here. Also available on Kindle and Audible. 31. Fifty Shades of Grey, to help conquer any fears of reading potentially titillating (er, or embarrassing) stuff in public. Get it from Amazon for $9.57 (paperback), Barnes and Noble for $10.37, or a local bookseller through IndieBound here. Also available on Kindle and Audible.